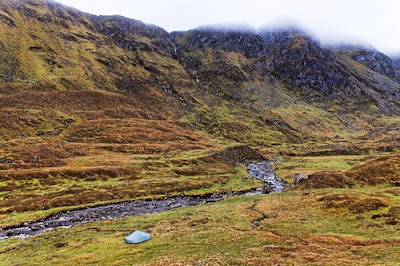 I always feel as though I am leaving the hills when I wander out of Glen Doll and down Glen Clova. 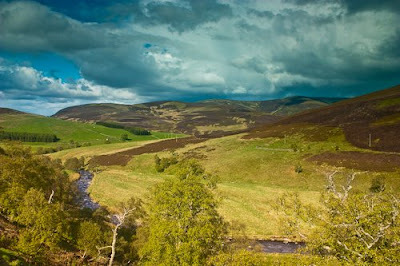 The big hills, the Munros, are behind and slowly dwindling heather moors line the glens. Showers and a cool breeze accompanied me and the Glen Clova Hotel was a welcome sight, the first open hostelry since Dalwhinnie five days previously and one with a Climber’s Bar for outdoors people with muddy footwear and wet clothes. I dodged the wind and wet for a while over coffee and scones, it being too early in the day for a beer and also too early for the hotel to be serving meals or even sandwiches. Beyond the hotel the last big climb of the walk led up to Loch Brandy, set in a deep corrie below craggy slopes and alive with the sight and sound of common gulls. Above the loch I crossed the moorland to the last hill, Ben Tirran. Here a depressing sight met me – a double fence, one part still under construction, running along the crest of the hills and passing just below the summit. A gap for 4WDs, which had left ugly scars on the hillside, allowed me through but I could see no sign of a stile or gate for many miles. What price the access legislation when such barriers are being built? This needs to be stopped. Descending north to the long Water of Saughs glen I became depressed and angry again. An old narrow landrover track ran up this glen to a small stone shelter, a track mossy and grassy with age and not really much of an intrusion. Now a new two lane packed dirt road is being built, a cambered road with deep ditches either side. Two huge diggers were at work scraping away tons of peat and rocks and hurling it in great gobbets to either side. The new road runs at over 600 metres for many miles, a great scar high above the glen. Spur roads, equally hideous, ran up to summits and down to the river. I had come this way on the very first Challenge. I will not do so again. The Water of Saughs leads to West Water and the start of the final road walk to Montrose. Actually, West Water is a pleasant quiet glen, with little traffic, and the road is less of an intrusion than the high level one above the Water of Saughs. I wandered down the glen under clearing skies admiring the meandering river and the changing pattern of clouds over the moors and watching the birds in the meadows – lapwings, curlews, oystercatchers and more. Near the foot of the glen the land becomes fenced. Just before this point I dropped below the road to pitch the tent y the river on a rough grassy bank shaded by birches, a pleasant final wild camp. The road walk to Montrose, via a café in Brechin, passed uneventfully. With fast traffic roaring close by at times it was probably the most dangerous part of the walk. Soon though I was treading the familiar streets of Montrose to the Park Hotel, heading upstairs to the TGO Challenge control room and being congratulated by Roger Smith, just as I had twenty-nine years earlier. Then it was an afternoon and evening of talking, drinking, eating, and listening to the roll call of successful Challengers at the dinner, a crowded, social end to another fairly solitary crossing. I was happy to be meeting old friends, making new ones, discussing experiences, sharing stories. This communal gathering is an essential part of the Challenge and I would not want to miss it. Photo info: West Water winding its way out of the hills. Canon EOS 450D, Canon EF-S 18-55mm IS@20mm, 1/250@F5.6, ISO 200, raw file converted to JPEG in Lightroom 2. 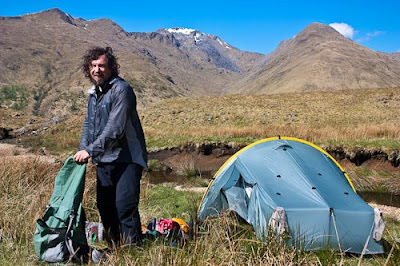 Just yesterday, on finishing the TGO Challenge, I heard the sad news that Irvine Butterfield had died. 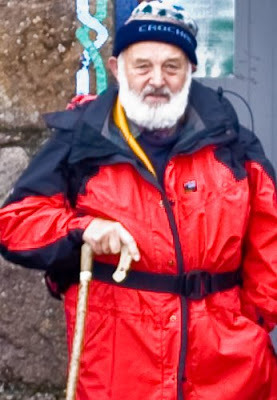 Irvine will be known to most British hillwalkers as the author of the excellent The High Mountains of Britain and Ireland: A Guide for Mountain Walkers, which covers all the 3,000 foot summits (he completed the Munros in 1971). 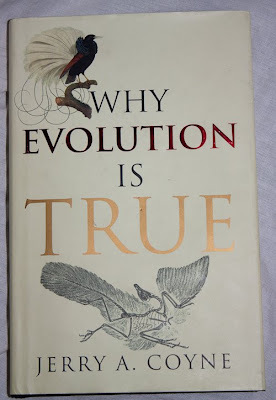 I have a well-worn, not to say battered, 1986 first edition that I often use for reference and inspiration. There was to be a second volume covering the 2,500-3,000 foot hills but although completed it unfortunately never found a publisher. I also have Irvine’s much less well known A Survey Of Shelters In Remote Mountain Areas Of The Scottish Highlands, a spiral-bound volume published back in 1979. Many of the shelters described here are long gone but others are still useful, and not all are recognised bothies. 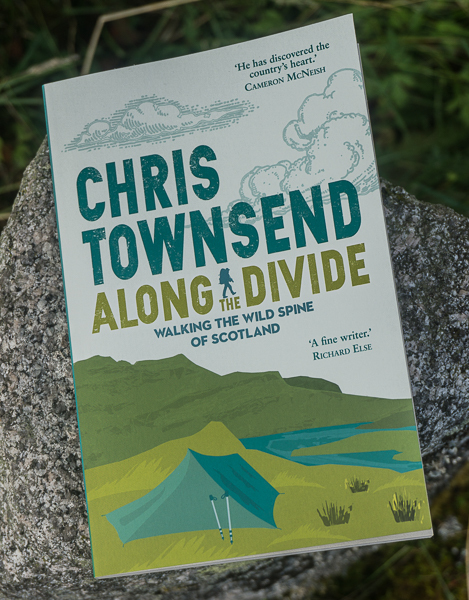 Irvine’s other books include the sumptuously illustrated The Magic of the Munros and the Call of the Corbetts plus The Famous Highland Drove Walk, following the trail of cattle drovers from Skye to Crieff and packed with historic information. Whilst these books were Irvine’s public face they are only a small part of the major contribution he made to the knowledge and conservation of the Scottish hills he loved. 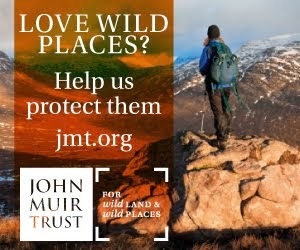 Over the years he was deeply involved with the Mountain Bothies Association, the Scottish Wild Land Group, the John Muir Trust, the Mountaineering Council of Scotland and, most recently, the Munro Society. All these organisations are indebted to Irvine for the time and effort he devoted to them. 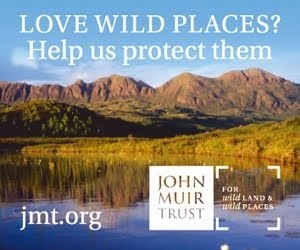 Last year the importance of his work was recognised by the John Muir Trust with its Lifetime Achievement Award. Irvine was only the fourth person to receive this honour, following Tom Weir, Adam Watson and Doug Scott. He also received the Golden Eagle Award from the Outdoor Writers and Photographers Guild, of which he was a long time member, in 2000. Over the years I met Irvine many times at various meetings and events and accompanied him up a few hills. Always entertaining, whether castigating outdoor and conservation organisations for failing to live up to his high standards or telling stories of his years working as an excise and customs man (and I really hope someone recorded the latter tales), he was a gruff and outspoken yet genial companion. He could be caustic and blunt but always in the service of the mountains and always with the intention of prodding people into doing more and not taking the easy or comfortable way. Irvine’s death has been well covered with heartfelt obituaries in outdoor cyberspace, not something he himself ever turned to, including Irvine Butterfield, giant of Scottish hillwalking, by Dave Hewitt on the Grough site; In Memory of Irvine Butterfield (Hill Gangrel, champion of Scottish mountains and MCofS ‘Writer in Residence’) by Kevin Howett on the Mountaineering Council of Scotland site and Irvine Butterfield by Cameron McNeish on Cameron’s own site. The Guardian also published an obituary by Ed Douglas in its May 21st edition, which can be found on the web here. Two weeks have passed since I returned from the Wind River Range and in between writing articles for TGO, visiting Edinburgh for the Richard Dawkins lecture and the Anatom Academy (see the two previous posts) and enjoying the freshness and colour of the slowly developing spring woodlands I’ve been sorting the nearly 1000 images I took on the trip and letting my memories settle. Ten nights in the snowbound woods and mountains is an intense experience, made more so on this trip by the absence of any other people. The Wind Rivers are a relatively remote range and access isn’t easy, especially in winter when most of the approach roads are closed by snow, so we began on the margin between civilisation and wilderness at the White Pine Ski Resort, a pleasant, friendly place. The chair lift took the six of us up Fortification Mountain and the first ski run was down a piste. Soon though we were crossing the tape marking the edge of the resort and entering the untracked woods. Ed Huesers, inventor of the ingenious Icebox igloo building tool we used to build our snow homes, had done the route planning using Google Earth and this worked really well, especially in regard to our three igloo sites, which were all spectacular. We spent four nights at the first site, where we built two igloos, as most of the party were not continuing after this time. Exploring the ridge we were camped on and skiing the nearby slopes and woods without having to tow a heavy sled was a joy. The views east to the long rippling line of the main Wind River summits were superb and the snow was just soft enough to make turns easy without being too unsupportive when gliding on the flat. We prospected two routes towards the second igloo site and discovered the markers for old abandoned cross country ski trails. Wishing that they could continue with us Ed and I said farewell to our companions – Roy Wagner, Tony Condon, Pat Huesers and Mike Meyer - and skied into the woods, emerging after a long day to build an igloo on an open slope with a view to the southern end of the Wind Rivers. Up to now the weather had been mostly pleasant with a mix of sun and clouds and some light snow. At igloo 2 this changed to low cloud and heavier snow. Reaching the site and building the igloo had taken until the early hours of the morning so the first stormy day we spent resting and exploring the immediate environs of the igloo. By the following day the clouds were even lower, brushing the tops of the trees and drifting through the meadows, giving the wilderness a mysterious air. Seeing nothing but mist, snow and trees we broke trail to Eklund Lake. Returning the next day the clouds had lifted a little and the mountains had reappeared, if still a little hazy. Beyond the lake we hauled our sleds up a knoll, a difficult task as the bases iced up badly so we had to stop and scrape them clean then treat them with wax to try and stop it happening again. Once up at 10,500 feet with a fantastic view of the high peaks we built our third and most splendidly situated igloo. Swirling clouds, deep red sunsets, golden dawns and magnificent timberline trees surrounded by a complex world of glacial knobs and moraines cloaked in dark forest and split by white meadows and frozen lakes and all backed by steep granite peaks made this one of the finest snow camps I’ve ever had. After a day around igloo 3 we returned to igloo 2 via a dramatic view into the depths of cliff-lined Fremont Canyon for a last night before the ski out to White Pine. The first snow free ground was just appearing round the base of some of the trees as we skied through the last meadows in the now soft and sticky snow. Winter was ending and I knew I’d be putting my skis away until next season. 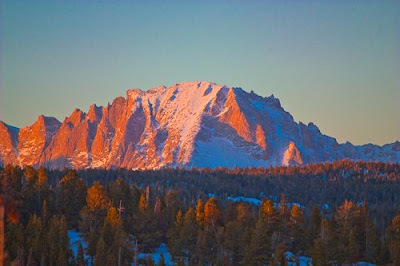 Photo info: Dawn on Fremont Peak. Canon EOS 450D, Canon EF-S 55-250mm IS@250mm, 1/160@F5.6, ISO 200, raw file converted to JPEG in Lightroom 2.